I haven’t been on the trails….well…let’s just say for a loooong time. But I decided to sign up for this race because a ton of my friends were doing it and FOMO (fear of missing out) hit me like a wrecking ball. It was also a race on trails I’d never been before and I love exploring my little big state. It was an hour drive and I rode up there solo. 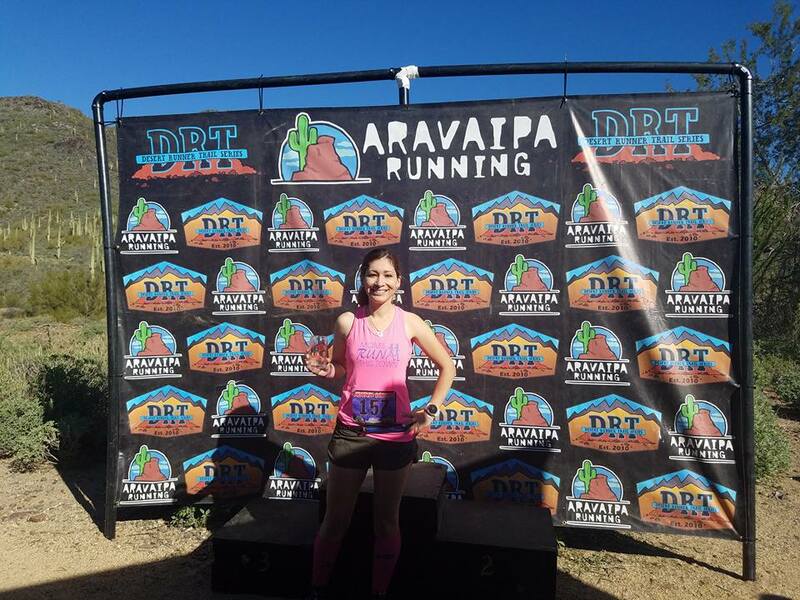 Luckily, Aravaipa races do race day bib pick-up. Got there early because that’s how I roll. I’d done my research and saw that it was going to be a glorious day at 80 degrees (you read that right) but the morning was going to be a freeze fest at 45-50. I parked and then ran into some friends at the potty and then we all huddled in a car together to wait for the start. The race started at 8:30 (there were two other distances starting before ours) so when we began, it was warming up and my shorts and tank weren’t crazy pants. It was a big group of us and we all started together but fizzled out as we ran. I was near the front of our pack with my friend T$ who is a super strong trail runner. The first mile was all uphill and she lead the way. When we reached the apex, I let myself roll with the downhill, and then I was by myself. It was up and down after that and on the down I was pretty reckless running faster than I probably should have. On the uphill, I would take it easy but managed to still do a sort of run. This was HUGE for me because I’ve always struggled with hills, road or trail. To see that I was running up them, big ones too, made me feel so strong and like I’ve come a long way from the scared-of-hills runner I used to be. I finally reached the lone water station that served as a turn around for the 12k. It was a short way back on the same trail as I’d just come on so it was cool to see my friends as I began my way to the finish. More up and down, and on the down (as you can see from my splits) it was WHHHEEEEEEEE!!!!! I totally got caught up in my surroundings–the desert does that to me. It was so darn beautiful out. Everything was so perfect. 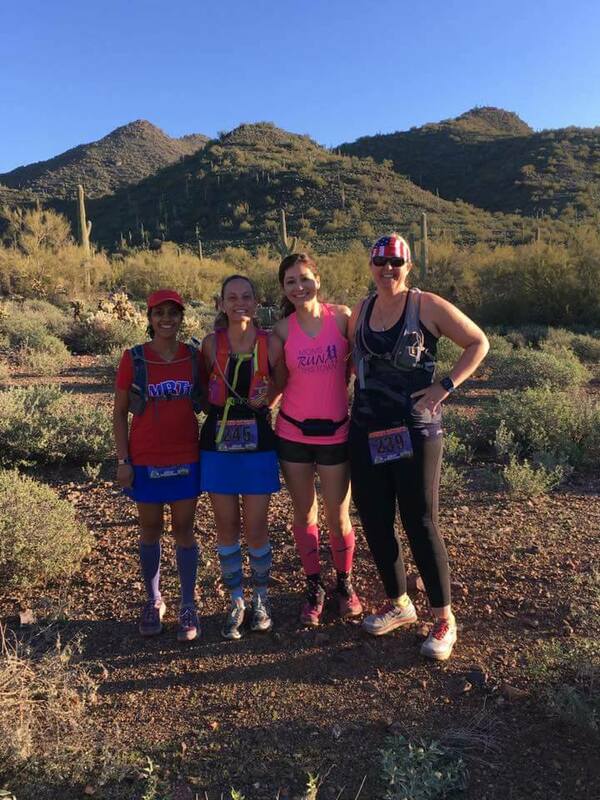 The sun on my face, the weather, the cacti and nature around me, the difficulty of the trail–I was in my own little heaven for 8 and half miles. Oh yeah, a 12k is around seven miles. When I reached that point, I thought I was close to the finish but then it never came. I kept running and then I saw two girls up ahead. I caught up to one to ask if we were on the right trail– she said we were. I passed her and then made it my mission to catch the next girl. By the time I did, it was well past 8 miles. At a quarter after, I finally saw the finish, and I was glad as my spunky energy was beginning to diminish, lol! 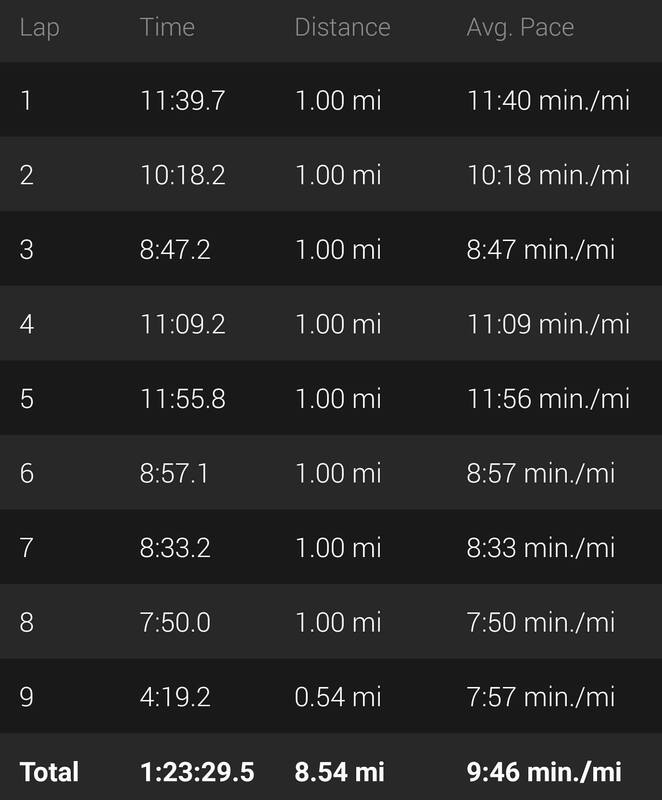 I ended up averaging a 9:46 pace which for me is hella fast for trails. When I was recounting the race to my husband, I just said that I ran happy and that’s really what it was. I had an absolute blast and enjoyed myself the entire way. 26th overall and 6th female. I don’t know how many people raced but I was pretty proud with the results as I don’t consider myself a strong trail runner. 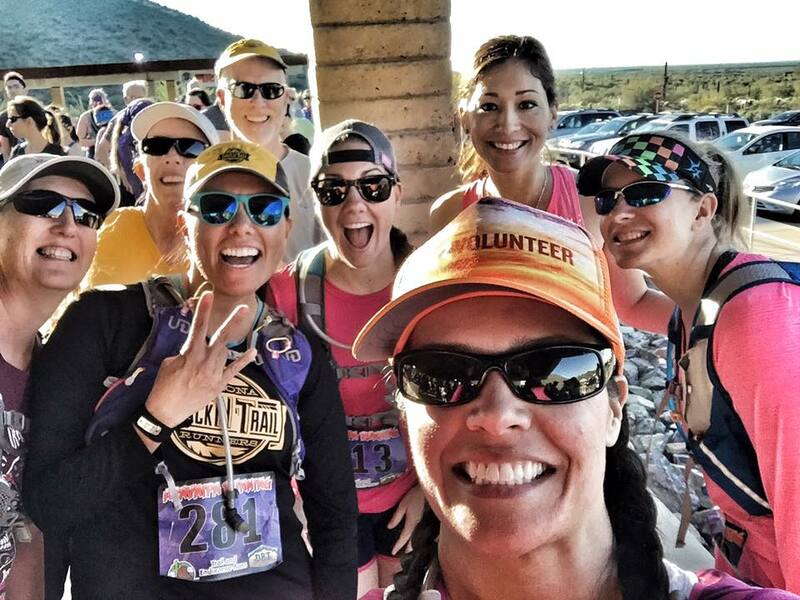 I never run trail races with an expectation to win anything–we have a super strong trail running community–but I know that this race was a good one for me, in many ways, and more so than a placing. –Do you like trail running/racing? 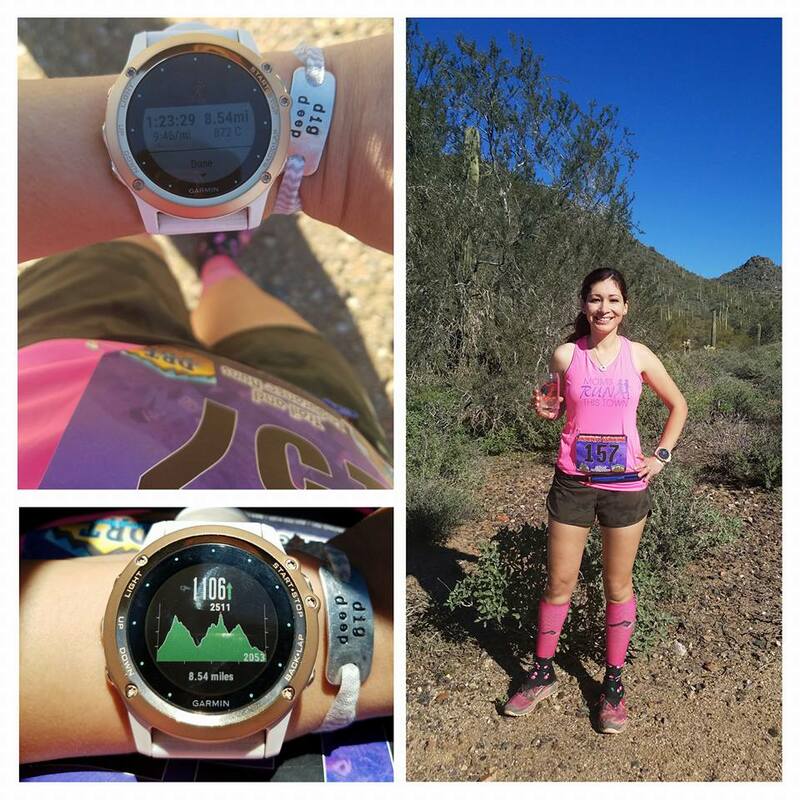 –Are hills your thing? I’m starting to not be afraid of them, finally! Love trail running it’s what most of my marathons are. It’s more fun and you don’t worry about time either. Well done on yours. I train on trail so makes running on it easier. I barrel downhill like a lunatic so I can slow on the uphills- it all balances out in the end. This race looks so fun! I’ve never run trails but I’d love to try! I’m reckless downhill, but when you’re on concrete I guess it’s not too wild 🙂 I just ran a race with constant up and down hill last weekend and surprised myself… scary but possible :)! Awesome work! What the heck, that’s a big ol group out at elephant mtn lol. I was going to volunteer but my son had a soccer event. I heard those trails are gorgeous. Hope to catch you out there sometime! Congrats on your race! I love trail running but don’t do it nearly enough. When it comes to downhills, I tend to be reckless on trails, I’ve almost fallen a few times. That just makes it fun right? Great job! You’re husband’s right, running happy makes all the difference. I’ve ran on trails but never been brave enough to do a trail race. Hills and trails are really not my thing, but I’m trying to run them more often because they do make me a stronger runner. Great job picking up momentum on that hilly course! And keeping the energy up with the course ended up being soooo long. Nice work!! I’m just about to do my first trail race ever- a 10 miler on a hilly course. Hilly by Kansas standards that is. It’ll be rough for me, I don’t like hills at all! Yay for first trail race!! you’re going to have so much fun!! !